Botox® is well known for being able to reduce the appearance of fine lines and wrinkles in men across Denver. Frown lines and wrinkles around the forehead, eyes and mouth are hard to avoid as a man ages, however with this helpful and effective anti-aging therapy method at Sculpted MD, their appearance can be diminished significantly. Sculpted MD offers men’s and women’s Botox options in injection form. These Botox® injections create a younger and healthier appearance on our male and female patients. Sculpted MD understands the demands and stress men put on themselves and how it can directly effect their appearance. With the competitive nature of today's workforce and evolving social scenes, there has never been more pressure on men to look confident, youthful and refreshed. According to the most recent statistics from the American Society of Aesthetic Plastic Surgery, more men are choosing botox and dermal fillers at a rapid pace. Our goal here at Sculpted Md is to create subtle and natural improvements without loosing any masculine features. Here are a few of the typical treatments for men. When choosing an Aesthetic injector a special consideration you might take into account would be how often they have worked with men. Because men's facial anatomy is different from a women's and their muscular structure is stronger the technician will need a proper understanding of how to navigate those differences. The Sculpted MD has the history and expertise to help you with all of your injector needs in the 5280. Botox ® is serum produced by Clostridium botulinum, a bacterium in the body. When this bacterium is injected into the skin directly, it relaxes the muscles that create these fine lines and wrinkles on the skin. These injections can also help treat migraines, severe neck, shoulder and back pain, underarm sweating and other eye-related conditions. This is a non-surgical treatment that is administered by a physician. Individuals ages 18-65 years old can safely have these injections. Men’s Botox works by helping to control the impulses of the nerves to the muscles in the body inside the injection site itself. The injection will cause them to relax entirely. The effects of just one treatment of Botox can last up to six months, depending on where the injection took place. 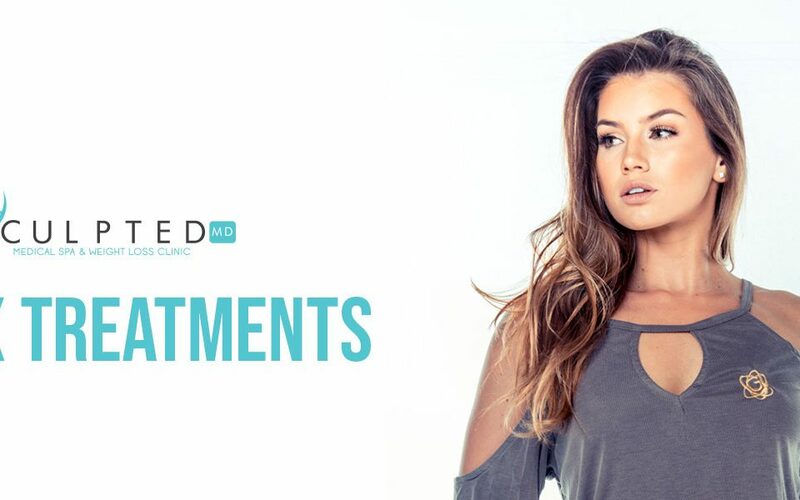 For more information on this treatment options, contact Sculpted MD today to schedule a free initial consultation. Botox is injected into areas of the face with where wrinkles appear. The FDA approved product is injected under the skin directly into the facial muscles using very small doses. The drugs main purpose is to prevent signals from the nerves from reaching the muscles, this effectively prevents the muscle from responding to a signal. The typical period is very short lasting 2- 3 months. The injection of Mens Botox effectively paralyzes target muscle groups in your face. At Sculpted Md we employee a staff of medical professionals that oversea all prescriptions and procedures performed in office. That includes the injection of mens botox or any other filler offered at the clinic. Our aesthetic injectors are all certified and current with all training, techniques and licensed through the state of Colorado. Professional certification organization, such as the American Board of Cosmetic Surgeons, The American Board of Dermatology or the American Society of Plastic Surgeons. For a lot of men, the major injection sites include the eye area, the forehead and depending upon your situation, the hairline or check area. Men typically require additional injections compared to women having the same areas treated. Each case is different and your FREE consultation with our injector specialist will help determine the amount needed to achieve the desired results. Generally botox is charged by the vial or unit and Sculpted MD offers monthly specials and discounts for our line of injector products. Sculpted MD uses only the best and high end botox product lines and will never substitute the quality of product. The strength of the frontalis muscle varies tremendously from one patient to the next. While this muscle is a relatively thin one, it can create multiple ripples on the overlying skin surface. Sculpted MD approached each case on a case by case basis. When it comes to taking care of your skin, most advertising is typically geared toward women. However, men are just as concerned about wrinkles and frown lines as women. When it comes the aging process there are no favorites and men can also be susceptible to frown lines, sagging skin and the loss of collagen. Fortunately, there are a variety of ways to reverse the signs of aging and get rid of frown lines. But how did they get there and what can you do to prevent them! Keeping your skin hydrated in the 5280 is essential to allowing your skin to thrive. Water keeps the skin looking young and refreshed as it washes toxins out of the body. Not consuming at least eight classes of water a day could be causing excessive wrinkles and frown lines. At this altitude it is so important that you wear proper sun protection. A minimum of SPF 30 is recommended for anyone spending time outdoors in excess of 5 - 10 minutes. Not applying proper sun protection can weather and degrade vital skin systems resulting in visible frown lines and forehead wrinkles. Smoking is not only harmful for your insides it has a damaging effect on your face and skin. The enzymes released in your body from cigarette smoke have been shown to block the production of collagen and elastin in your skin. The Sculpted MD 520 injector team highly recommends you reduce or stop smoking if you want to improve the health of your skin. A diet rich in vegetables and fruits can contain powerful antioxidants that will help combat free radical damage to your face and skin. Poor nutrition has a direct link to poor skin health and prolonged bad eating habits can cause serious harm. Thrive and eat healthy! Washing and caring for skin on a daily basis is essential to healthy thriving skin. Sculpted MD has a selection of face scrubs, anti-wrinkle creams and gentle cleansers that should be used morning and at night. Caring for your skin with the recommended product lines offered at sculpted MD is a great way to get back on track. A dermatologist can assess your wrinkles and help you to find a suitable treatment for your skin type. Laser peels and skin resurfacing are all available options to remove frown lines and wrinkles. Talk to your doctor to assess the risk of these procedures. Kybella is the first FDA approved inject-able substance to treat sub-mental fat, Kybella is designed to dissolve stubborn under the chin fat. This new product is ideal for helping men carve out a stronger jawline and improve the appearance of a strong chin. If you find yourself bothered by your nasolabial folds, and are wondering what can be done to improve or reduce the appearance, it is important to know that the nasolabial folds commonly appear to "deepen" -- that is in part from the lowering of the cheek fat, which leaves space on the upper inner cheeks. Correction of these folds can be done by injection of dermal fillers or fat into the cheeks to fill the gaps and pull the cheek up. The filler can also be injected into and under the nasolabial fold to flatten it further and create a more youthful look. Sculpted Md takes a unique approach to helping men and women improve the cheekbone area with medical botox and fillers such as Juederm in Colorado. Our 5280 injector approach gives our clients a strong cheekbone and overall improved facial volume. Juederm Voluma for mid-face volume loss in men A top reason for men visiting Sculpted MD in Denver is to address bags under the eyes and hollow upper cheeks. An Aging face is a concern for both men and women and the loss of volume in the mid-face can cause the cheeks to look hollow and this can lead to an increase in the sunken look under the eyes. What does treatment look like? To address the upper cheek hollows our injector specialist most likely would recommend the Juvederm Voluma product line and for under the eyes select Restylane. 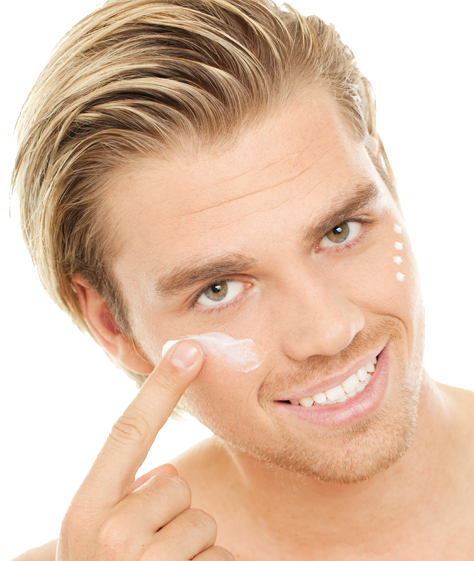 treating this area for men requires precision and expertise both are available at Sculpeted MD in Denver Colorado. Botox for men clinic.